Your WordPress website is an investment in your business, so just like your car, you need to take care of it. It’s one of your best employees. It works 24/7, it brings in new leads, it educates and informs, it builds your credibility, and it may even sell or take appointments for you. Working this hard without interruption means that it will need to be maintained to ensure that it functions properly and doesn’t become vulnerable to malware or viruses. Do you only have a relatively small site, and don't think you will be targeted by hackers? 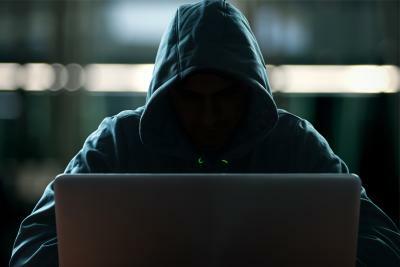 Think again... have a quick read of this article by Wordfence Security looking specifically at what hackers do with compromised websites. Could you imagine how much it would cost you in lost leads, sales, time and productivity if you or your entire sales team came down with a virus and no one could work? The disruption, let alone the expense to get all hands back on deck, would no doubt be substantial. Is the cost of not maintaining your website worth this potential hassle and threat? Technology and the digital landscape constantly changes and evolves, so it’s important to ensure that your website stays fresh and up to date by adding content that is relevant and engaging to your customers (and in doing so, Google will love you too!). So rather than risk having your website hacked, become vulnerable, or start to look outdated and tired, we have put together website maintenance and support plans that will ensure that we have got you covered. We understand that maintaining your website is just another task on your long to-do list and that finding the time, or the interest to learn how to keep your website updated well, may not really float your boat, especially when there are so many other wheels turning in your business. It’s no wonder that there are many sites that are left without the upkeep that is required. Prevention is far better than cure, so that is why we encourage all small business owners to consider our website maintenance and support plans. WordPress updates performed weekly or monthly basis, we will keep your WordPress website safe. We perform scheduled backups on weekly or daily basis. Storing several instances of your WordPress website allows you to revert to a previous version with ease, in the case something goes awry. Your WordPress website’s performance is vital to your visitors and search engines. By performing database optimisations, we significantly reduce the risk of database and data corruption. Keeping your business website safe and secure is paramount. We perform scans and protect your WordPress website from malware and other threats. There is nothing more embarrassing then having a client or potential customer tell you that you website is down and not functioning properly. We track and monitor your website’s performance and take charge in getting your website back up and running in a jiffy should it go down. Like I said we have you covered. Content changes and minor updates are all taken care of for you. Just let us know and we will make the required changes. Professional Training Videos: Should you ever want to make changes, update your site, or upskill yourself in all things WordPress, you have access to our step-by-step video tutorials which cover everything from your content management, to website SEO and functionality. We love partnering with our clients and seeing their business grow. That is why we offer marketing strategy consults for our clients to ensure their website and digital marketing efforts are working optimally. We have different plans available depending on your needs... you can check them out here. We want to help you achieve your business goals, and to free up time for you so that you can get back to running your business. You can rest assured that we have you covered.